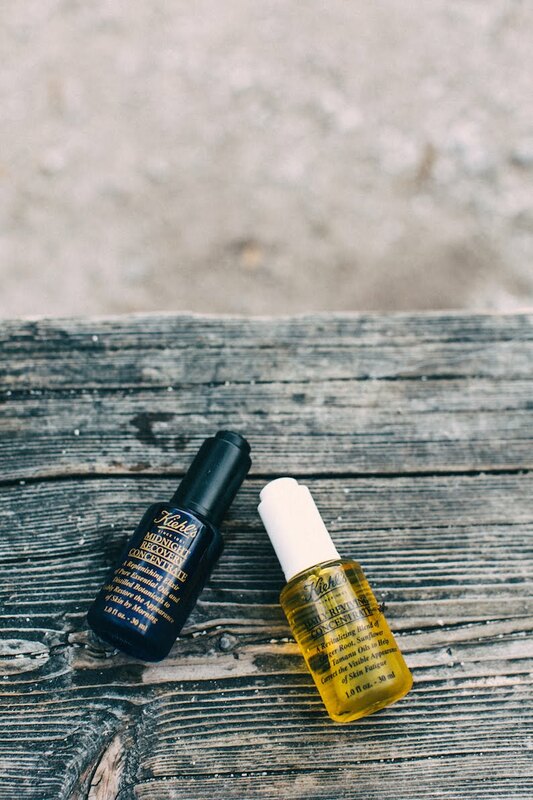 So a few weeks ago i was given these two concentrates by Kiehls and started using them right away! Since a lot of beauty bloggers have been raving about these ‚paraben free’ products in the past i was super curious to see some difference in my skin. 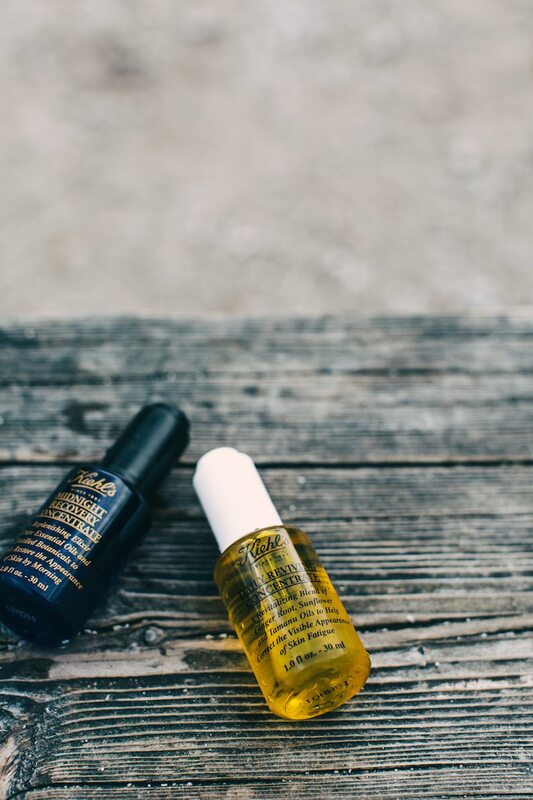 Both products are bascially skin oils that you pop on in the morning before you put your make up on or in the evening after you cleanse your skin in order to bring back some life and reduce breakouts – and let me tell it worked! 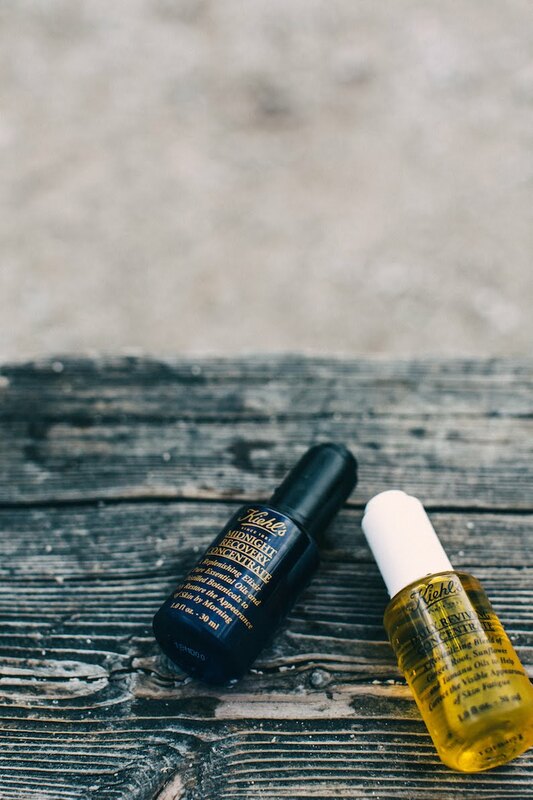 After a few weeks i’ve noticed that these two elixirs of essential oils have transformed my skin and definitely toned down any active breakouts and taken it to radiant and healthy. It simply hydrates without any oil residue or greasy feeling after it is applied. You can use it by itself but what i like to i just put a few drops (3-4) into my moisturizer and dab it on to my skin. In terms of the scent, both concentrates with 99.8 % natural ingredients, smell absolutley amazing – the daily version is a mixture of orange combined with a little grapefruit and lemon and the night version has a strong lavender scent which is right up my ally! Apart from the hydration and plumping up the skin this products also help you to decrease dark spots or any scars for a more even skin tone. So if you’re skin always looks tired and dull you can definitley give Kiehl’s Daily Reviving & Midnight Recorvery Concentrate a try!